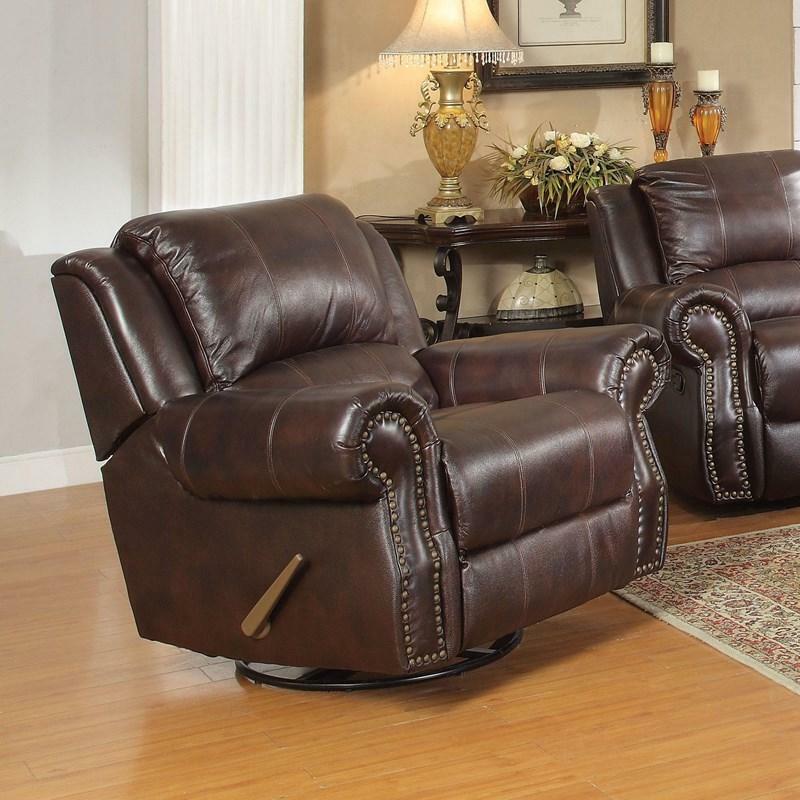 This Sir Rawlinson Loveseat has rocking recliners on each seat. 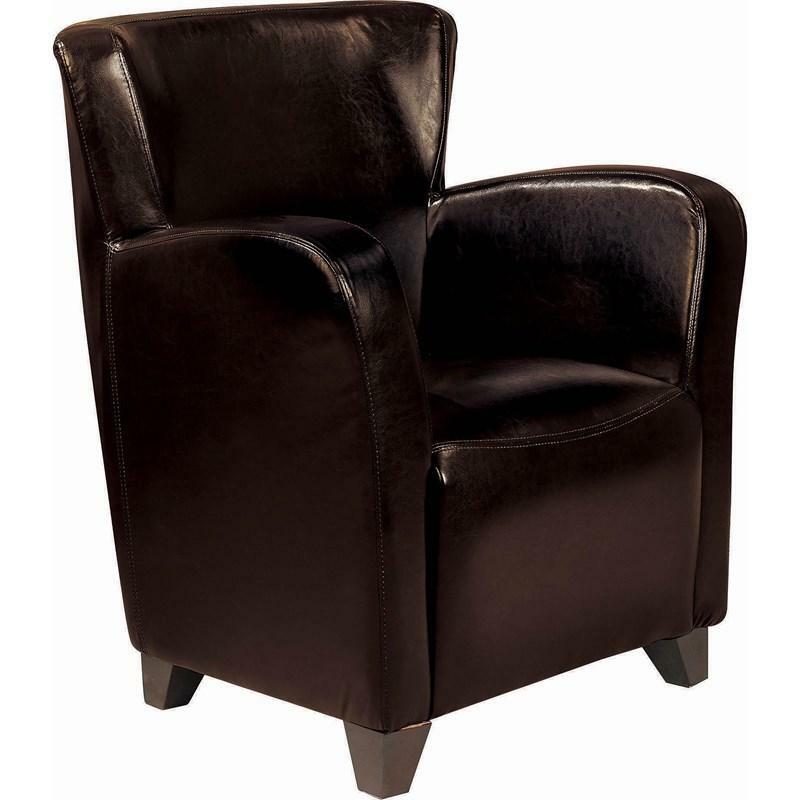 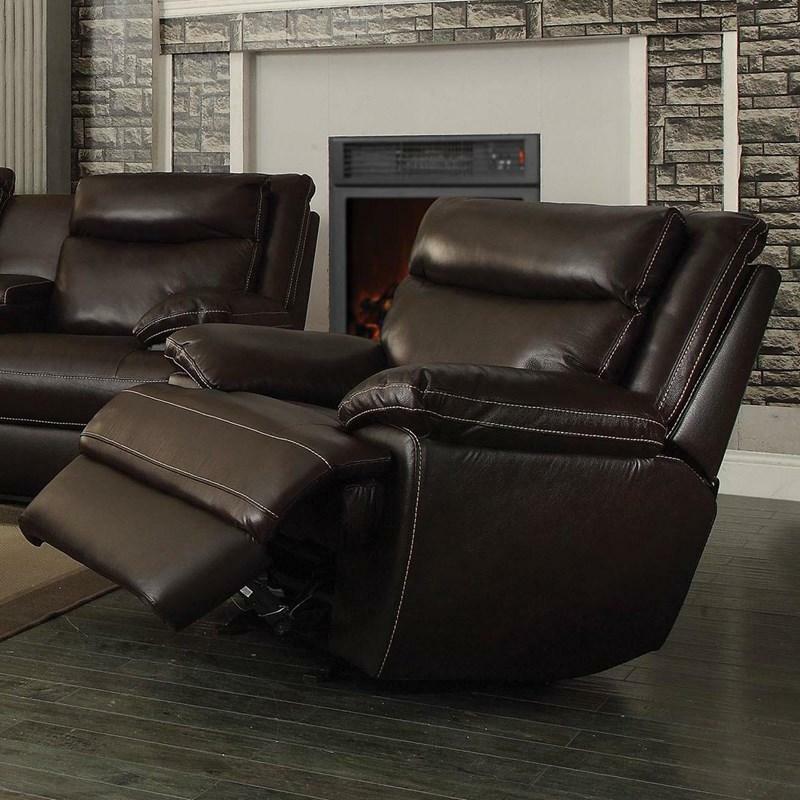 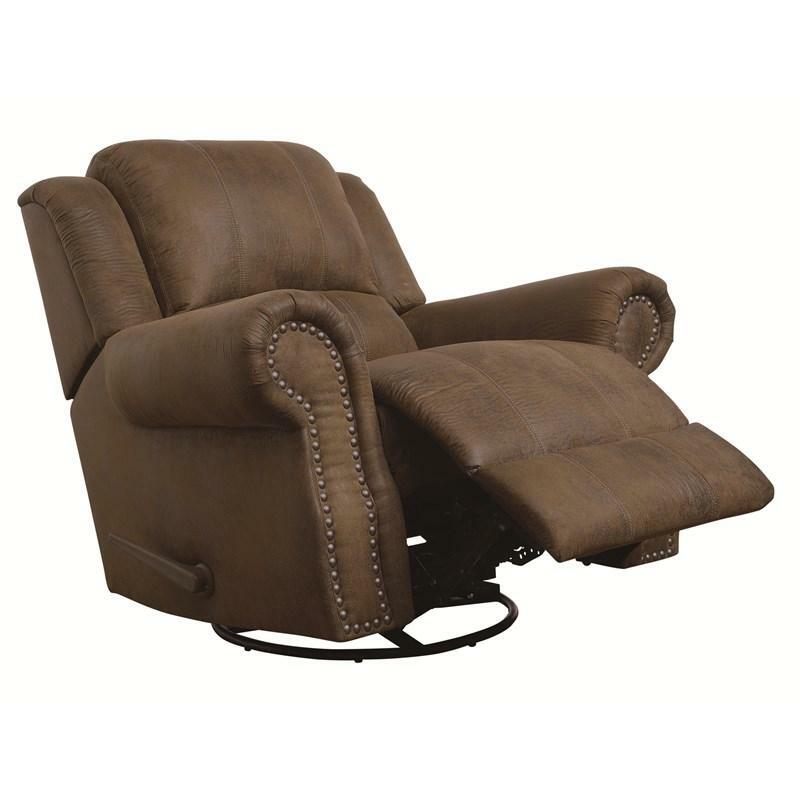 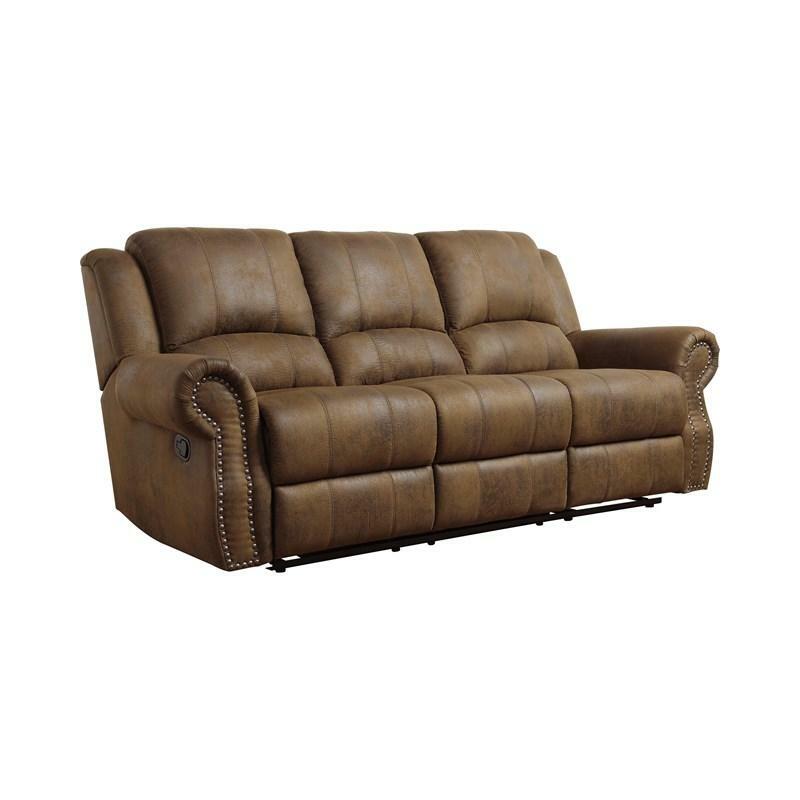 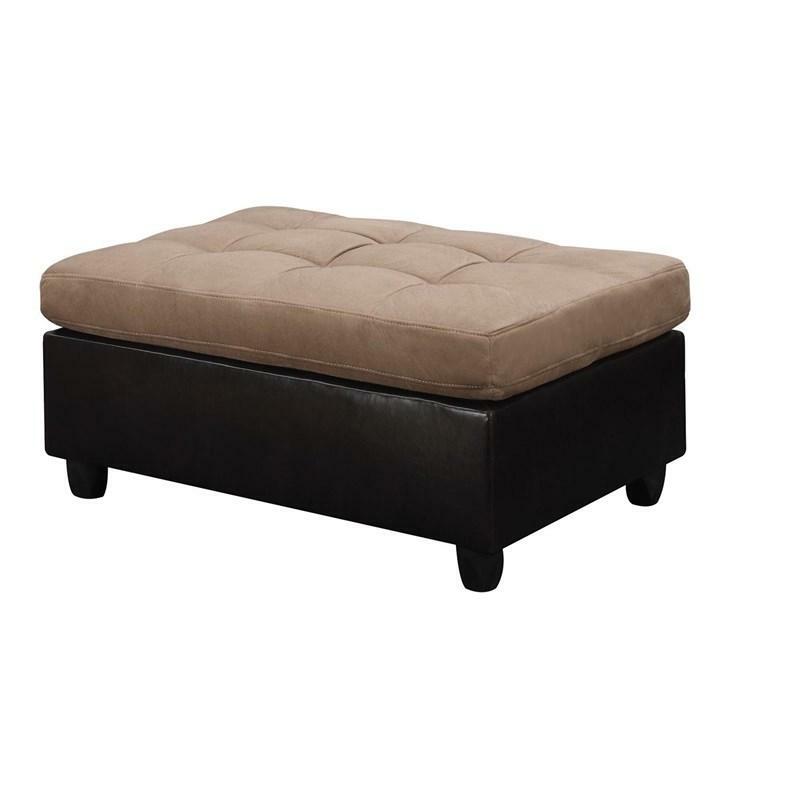 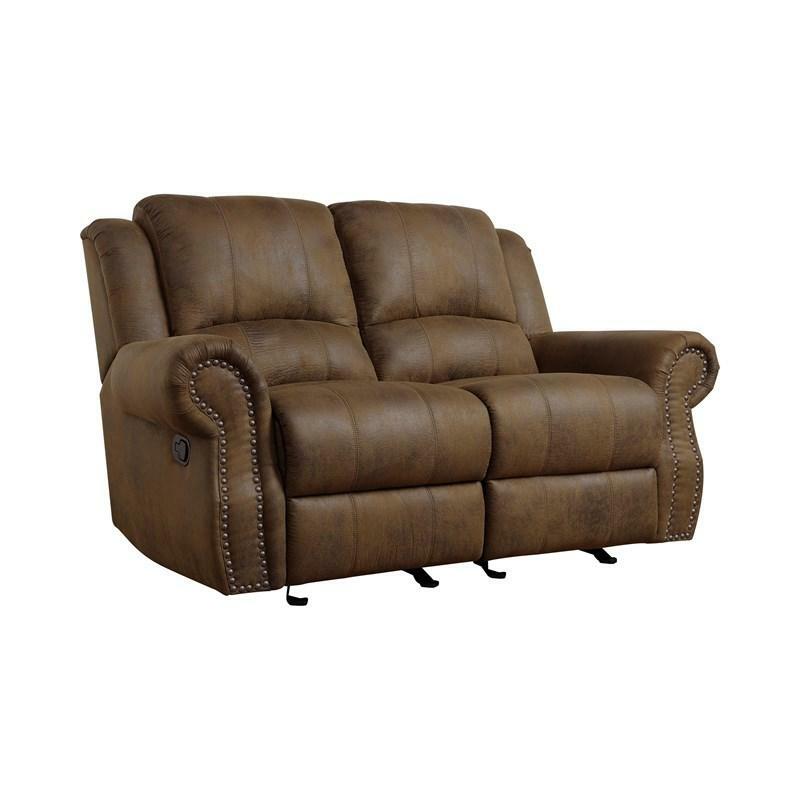 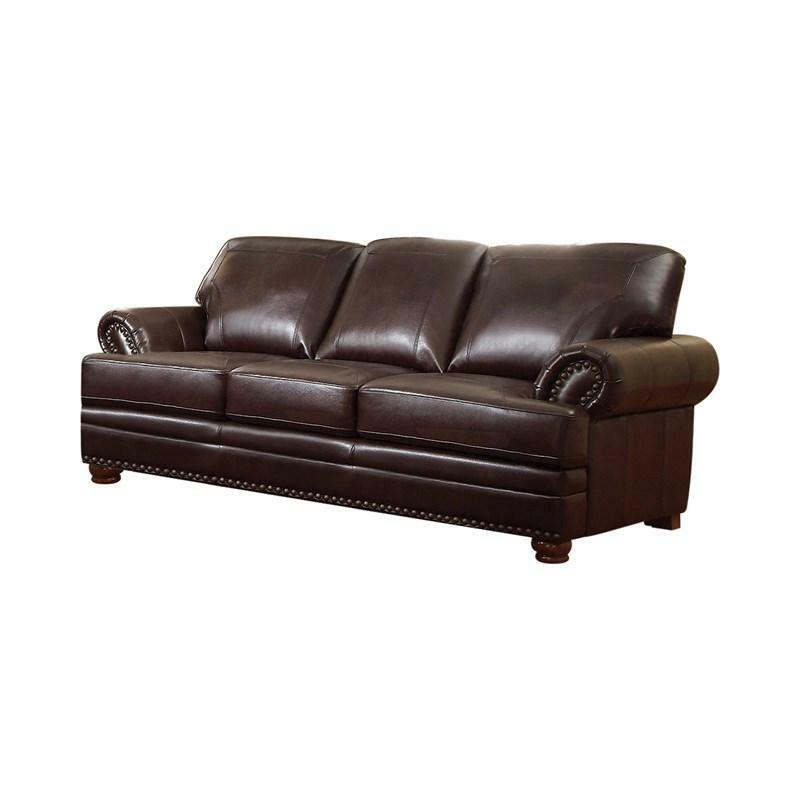 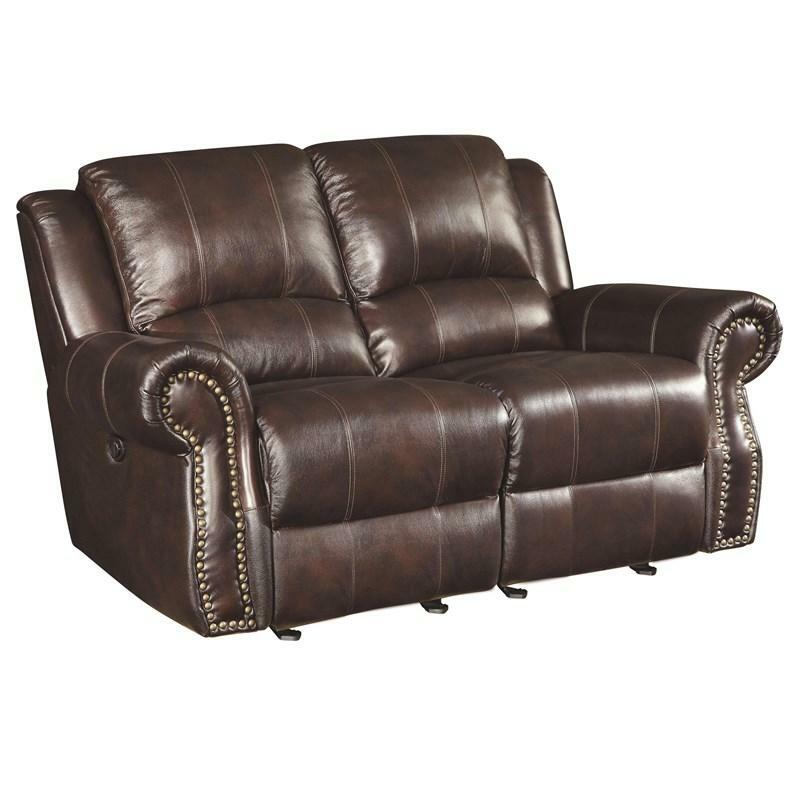 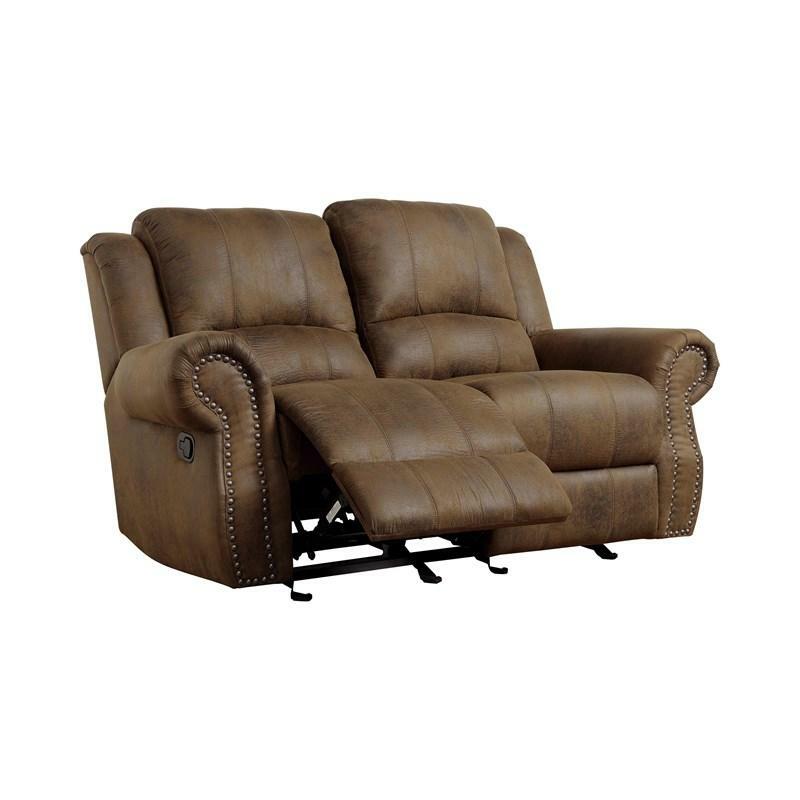 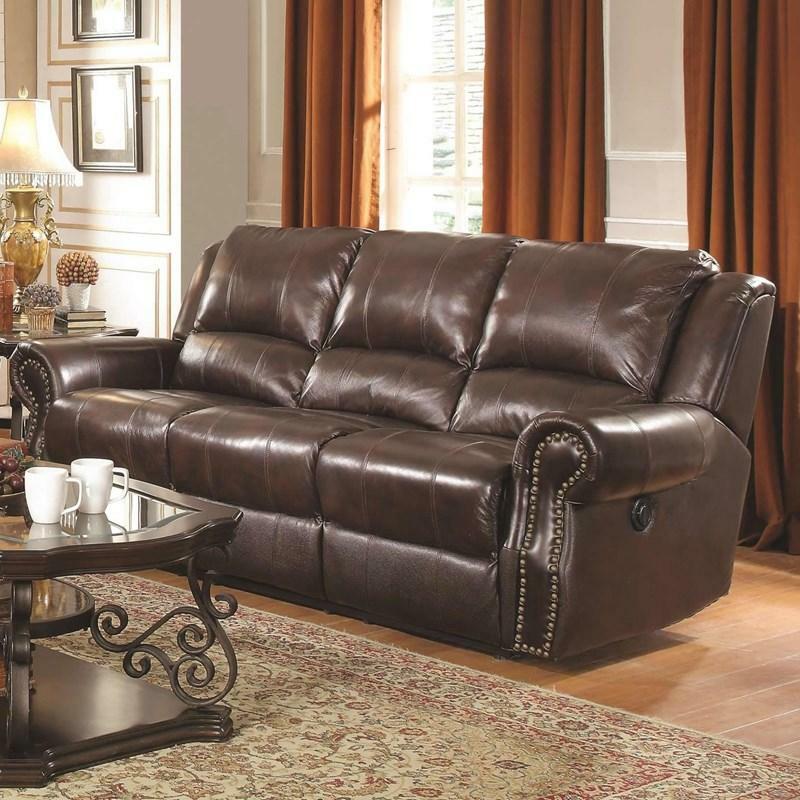 Covered in brown coated microfiber on the seating area and individually placed nailheads, this set has it all: comfort, style, and durability. 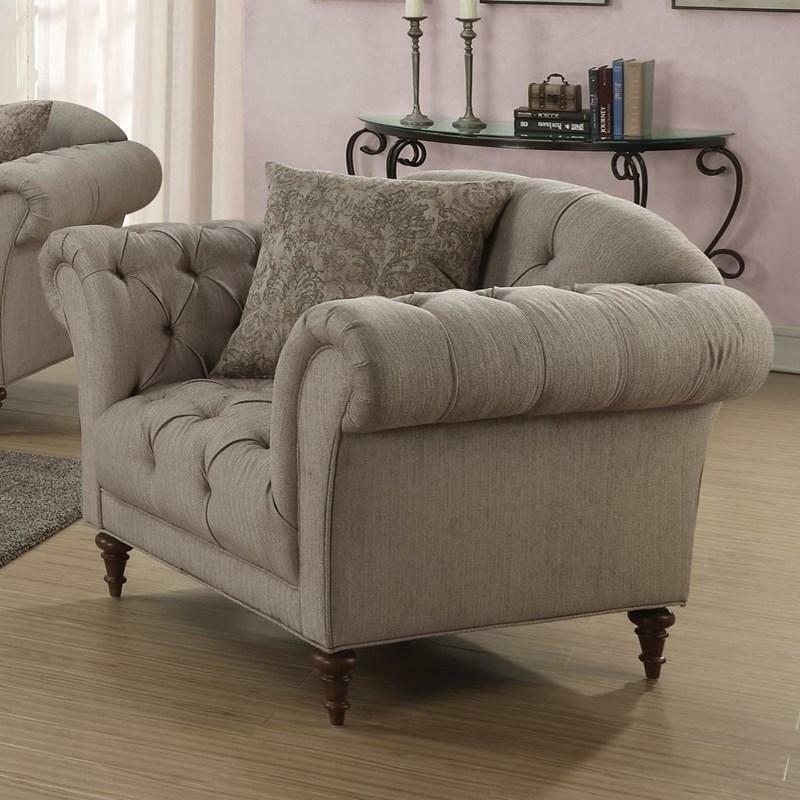 Give your living room a traditional style with our updated Sir Rawlinson collection!